Make your factory installed Apple SSD into an external SSD drive. Transfer data to a newly installed internal SSD or keep the original drive as added external storage. Combining aesthetics and function the iMac is Apple's all-in-one desktop model, requiring only a keyboard and mouse to function. The G5 and Intel versions feature the best of both worlds, with an absurdly thin case with fast and powerful internal components. Please select your model above for upgrades and repair parts! If you don't see the part you're looking for, just let us know. 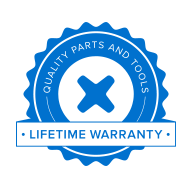 We're constantly adding to our line of iMac parts and welcome your requests.